Customized HR Solutions through Strategic HR Consulting & Employment Law Advice. Learn why Fortune™ 500 corporations and Global companies continue to trust us. We are an established Human Resources and employment law corporation that conforms to the highest industry and ethical standards. In business for more than 20 years, we have a staff composed of qualified HR consultants and experienced employment attorneys. Having BOTH strategic business HR experts and employment lawyers on your side, we are able to provide practical solutions which are in compliance with federal and state law. Learn More About HR on Your Side. "We relied on a well-known national human resources consulting firm to develop our executive compensation and redesign our companywide benefits program only to learn two years later that it was in violation of federal and state laws. Our corporation paid triple the cost of the HR consulting fees in legal bills for noncompliance regulatory issues! HR on your side®, Inc., gets it done right from the start with employment lawyers and nationally recognized HR experts working together at the beginning of the process for a much lower cost." Get HR solutions only from a trusted HR consulting firm. Contact us at (877) 475-2948 to learn how. 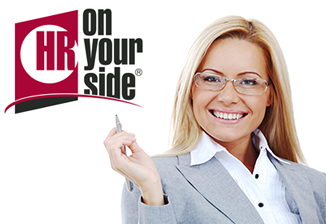 HR on your side® and the HR on your side® logo are registered trademarks of HR On Your Side, Inc. © 2016 HR On Your Side, Inc. All rights reserved.